The title of this piece, "We Made This Game," sums up its subject matter. 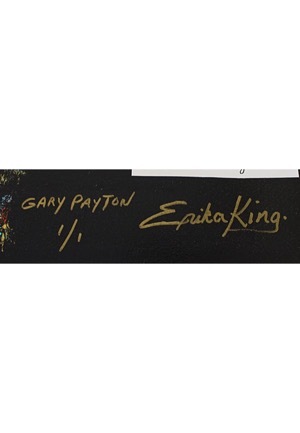 This large canvas is Gary Payton’s personal lithograph labeled “1/1” and collects over fifty NBA greats, players who redefined and reinvented the game of basketball over the past five decades. 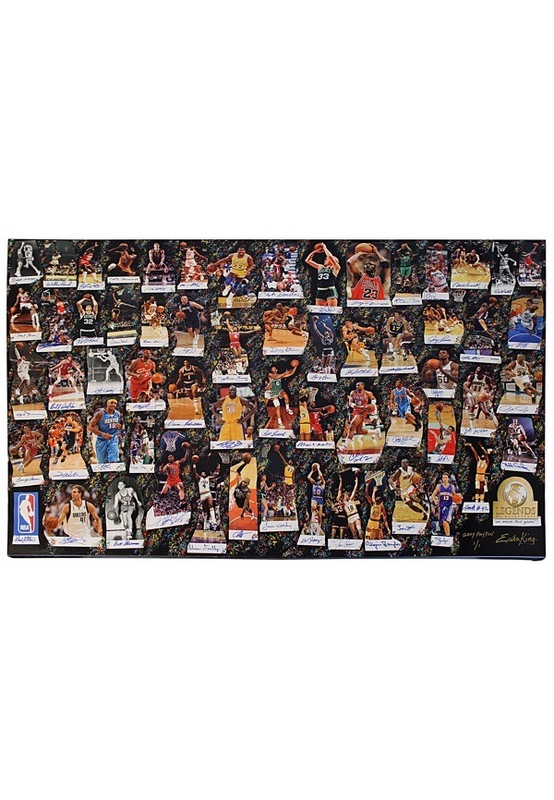 This visually impactful piece features the original abstract paint background by artist Erika King upon which color action shots of 61 of the greatest NBA players have mounted, each signed by the appropriate player. The four decades of hardwood stars include Michael Jordan, Magic Johnson, Larry Bird, Julius Erving, Oscar Robertson, Jerry West, Gary Payton and many others. Also included are the top modern stars including LeBron James, Kobe Bryant, Dwyane Wade, Shaquille O’Neal, Steve Nash, Yao Ming, Dwight Howard, Chris Paul. The colorful collage has been professionally framed to 40 x 60 inches. The canvas has been inscribed on the back “1/1” in black marker by Erika King and dated 2017. 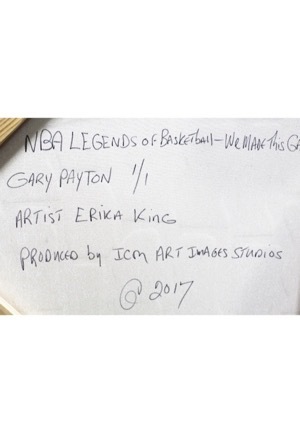 This item comes with LOA’s from Icon Art stating that it is “Gary Payton 1/1” and a JSA LOA.